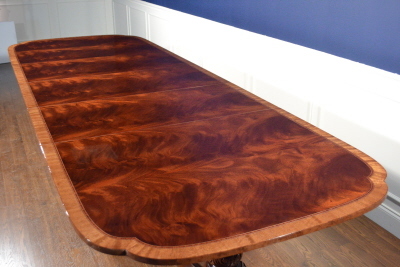 This table is one of our most traditional designs. 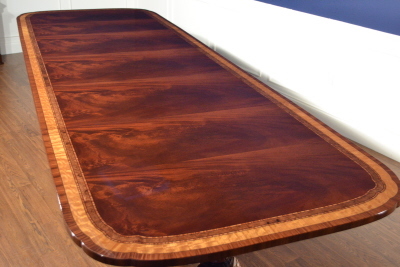 It features an understated field of cathedral mahogany with borders of santos rosewood and satinwood and tulipwood and ebony/maple inlays. 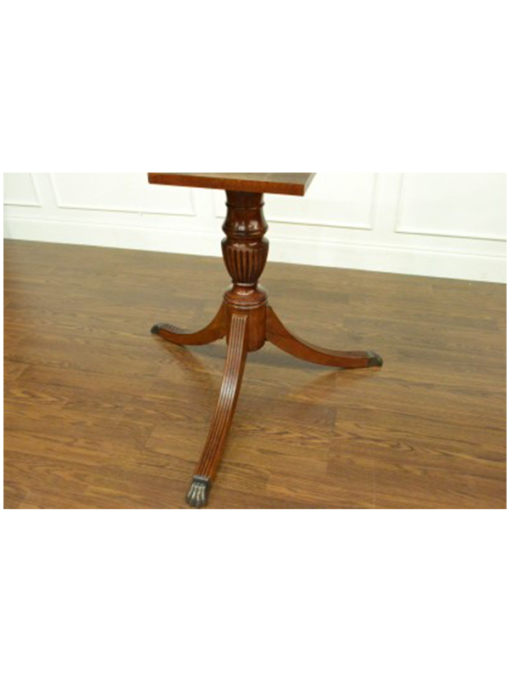 Its has pedestals which terminate with antique brass lion’s paw feet. 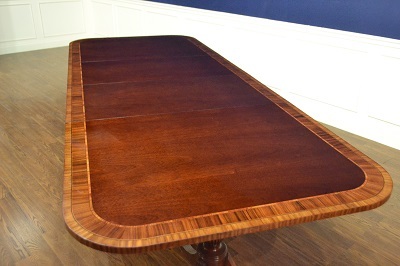 This table can be made in various sizes. 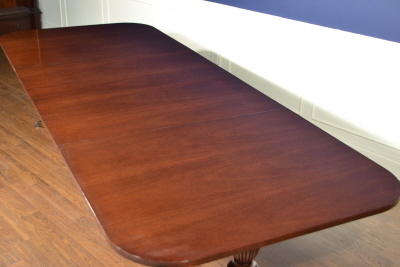 Dimensions (as shown): Length: 72 in. ; Width: 46 in. Comes standard with two 20 in. Leaves. Total length with two leaves inserted: 112 in.